The quickly increasing emissions from Canada’s tar sands is the main reason Canada will not meet its commitments under the Kyoto Protocol. The tar sands industry is influencing Canada’s domestic and international positions on climate change policy, and the Canadian federal government has lobbied to kill clean energy policies in other countries, and stalled progress in UN climate negotiations, to protect markets for tar sands fuel. Tar sands are a mixture of earth and petroleum that is strip-mined in giant open pits to be refined into a form of synthetic oil. The strip mining destroys forests, and tar sands mining in Alberta, Canada has already destroyed enough forest that the mining pits and toxic waste lakes can be seen from space. These operations are on course to destroy a patch of forest the size of Florida. Companies say they will reclaim the forest land that is destroyed by mining; meaning they let the toxic tailings waste settle in ponds, and try to replant forests over it – an unproven, expensive, and unsuccessful venture. Even the one six-hundredth of all forest land destroyed by mining that has been certified as “reclaimed” still contains toxic water that harms fish and ecosystems. Refining tar sands into synthetic crude oil leaves behind huge lakes full of toxic waste called “tailings.” These tailings are polluted with cancer-causing toxins, heavy metals, and oil. In 2008 over just a couple days, 1600 ducks died after landing in toxic tailings lakes. In 2010 it happened again with another 400 ducks dying. Aside from these mass death events, dozens of migratory waterfowl die each year after landing on these toxic lakes. Even with prevention measures in place (which are ineffective), bird deaths are inevitable as these toxic tailings lakes cover an area of over 170 square kilometres (65 square miles), bigger than Vancouver, one of Canada’s largest cities. Tar sands developments release massive amounts of carbon dioxide and other greenhouse gases into the atmosphere. 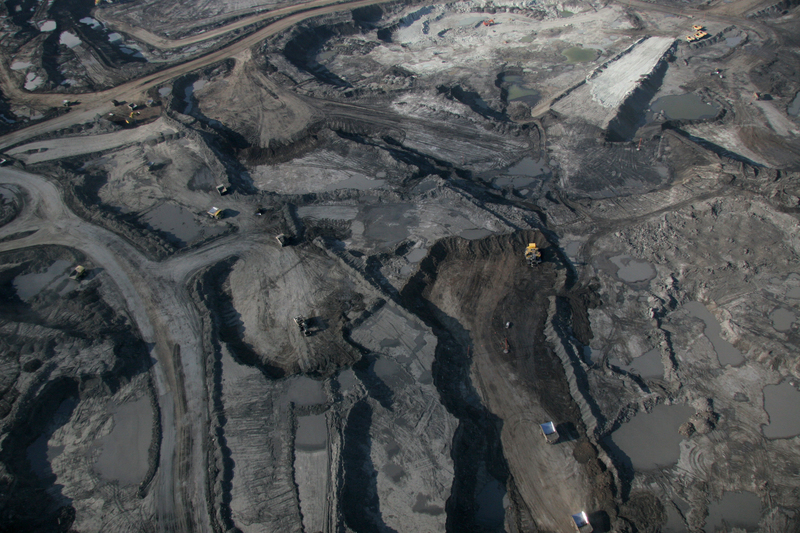 The mining operations, the destruction of the boreal forest, and the burning of natural gas all contribute to the greenhouse gas emissions of tar sands developments. Enough natural gas toheat six million Canadian homes each day is burned to refine tar sandsinto synthetic crude, with no net gain in energy. The tar sands are Canada’s fastest growing source of greenhouse gas emissions. The emissions from tar sands developments alone are already greater than emissions from some European countries. These emissions are just from the process of refining tar sands into crude, and gasoline from tar sands crude releases more carbon dioxide than gasoline from conventional crude oil. Refining tar sands into synthetic crude oil uses huge amounts of fresh water. It takes about four barrels of water to make one barrel of tar sands synthetic crude. Often the used water ends up as toxic tailings in agiant tailings lake. These tailings lakes – polluted with cancer causing toxins, heavy metals, and oil – are leaking 11 million litres (three million gallons a day) into surrounding river and groundwater systems. Tar sands developments are threatening our supplies offresh water, causing deadly cancers, and are increasing air and water pollution. This is a step backward in a time when we should be protecting the world’s scarce fresh water sources. The large-scale destruction of the boreal forest, the pollution of surrounding waters, and the airborne pollution from tar sands developmentsare hurting surrounding communities and Indigenous peoples. Cancer rates in communities downstream from the tar sands have drastically increased in recent years, and are much higher than they should be according to health statistics. Scientific studies have found that cancer causing toxins from the tar sands are flowing downstream and polluting the natural ecosystems and animals that Indigenous communities rely on for food and water. These communities have found deformed fish in the rivers, and their cultures and access to traditional sources of food are being destroyed. ← Your Second Podcast Has Arrived!